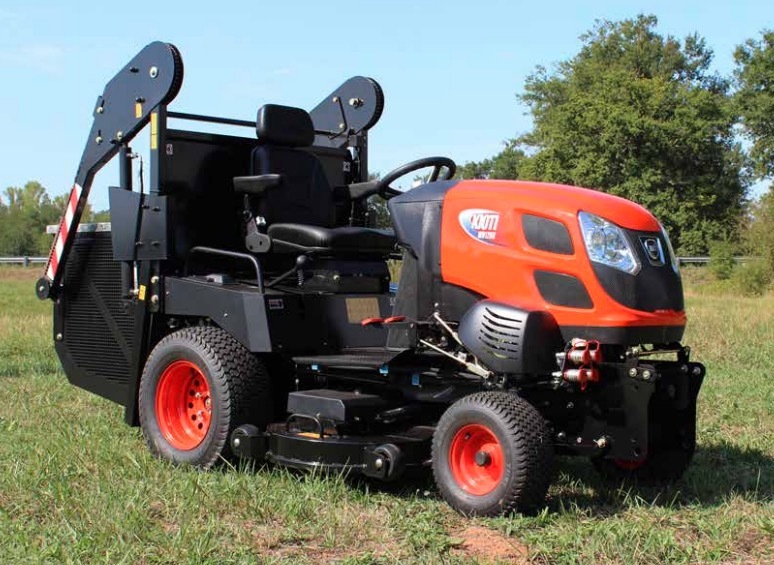 These tough machines are based on the Kioti CS 2610 Tractor and incorporating tough and proven cut and collect systems. The blade speed on our deck is 3000rpm, faster than any of our competitors and this is achieved by using a heavy duty Kevlar re-inforced timing band instread of a conventional, old fashioned, high maintenance shaft drive. The distance between the rear of the deck and the collector units is just 24 inches compared with 36 inches on competitive machines. The WD1260 works in wet conditions and is capable of cutting longer grass. Check the specification for more details now !